This year’s International Moth European Championship was held as part of Travemunde Woche in Northern Germany. Thirty eight boats from across Europe (and one Aussie import) competed in a mixture of conditions, from marginal foiling to 20 knot gusts and big waves, which made an excellent test for the sailors and their equipment. Brit sailor Chris Rashley put on a dominating display of mothmanship in his Aardvark-built Ninja, winning seven races and discarding a second and third position. This is Chris’ first season in the moth and he’s worked very hard to get to the front of the fleet with a very professional approach to his sailing. Runner up was Pete Barton who really came to the fore when the breeze came in, winning the last two races in his Mach2 and just pipping his Lymington training partner Ben Paton in a Ninja on the final day. German Markus Steeg put in a solid week of results in his Mach2, keeping the Brits honest with a solid scoreline. He finished in 4th position. Another Brit, Mike Cooke, rounded out the top 5 with good light airs pace in his Ninja. 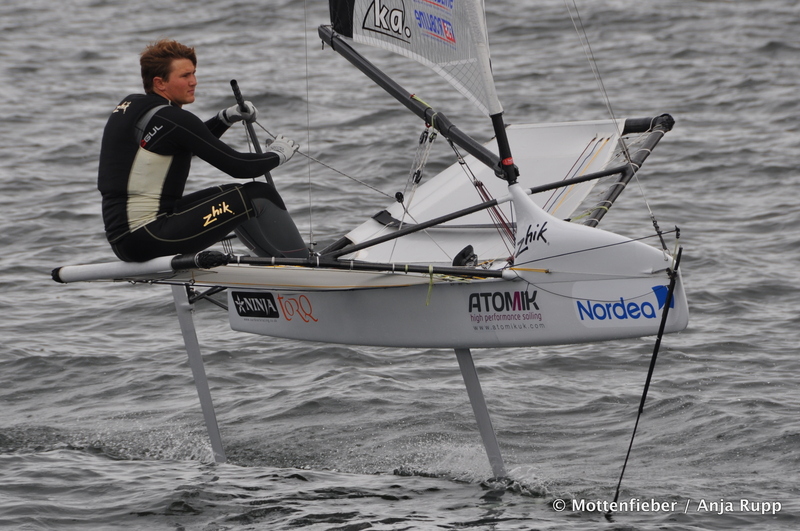 The dash for cash slalom was sailed off just off the beach, providing a great showcase for the moth class in front of the crowds in Travemunde Swiss sailor Phillip Kasermann took the 1000 Euro cheque provided by investment bank Nordea for his first place position. 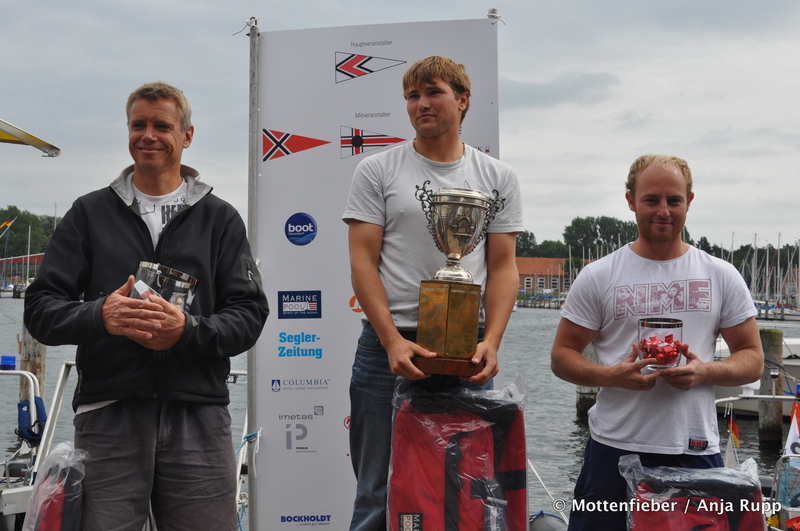 Fellow Swiss sailor Matthias Renker took the 500 euro second place with Markus Steeg of Germany taking the 250 Euro third place. Travemunde week was an excellent venue for the Moth Euros with many socials laid on around the area and an excellent party atmosphere. The moth circus rolls on to Garda next summer for the World Championships.